If you’re a Verizon Wireless customer using a smartphone under any Verizon data plan, you’d be glad to know that come Thursday, Skype Mobile will be available for download to your Verizon phones. Of course, if you’ve been using Skype since ages ago, you’d know that this mobile app will allow you to get in touch with friends, family and colleagues all over the world. Skype Mobile will let you make and receive unlimited Skype-to-Skype voice calls to practically anyone else who are also using Skype. It will also let you send and receive unlimited instant messages with other Skype users, and call international phone numbers at cheap rates. 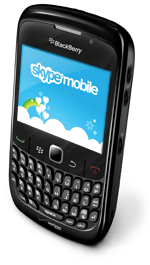 then prepare your smartphones now to download Skype Mobile on Thursday. Skype Mobile works on Verizon Wireless’ voice network for wireless connection during Skype-to-Skype calls. When making international calls, Skype Credits are required. But for domestic Skype-to-Skype calls are free of charge and will not affect your monthly minute allowance and data plan. To get the download link for the app, text SKYPE to 2255 on Thursday.